Beaglebone Black PMIC for battery backup #BeagleBoneBlack @TXInstruments @BeagleBoardOrg « Adafruit Industries – Makers, hackers, artists, designers and engineers! Interlock Rochester contributor antitree shows us how to charge BeagleBone Black off of li-po batteries with the built-in Power Management Integrated Circuit (PMIC). 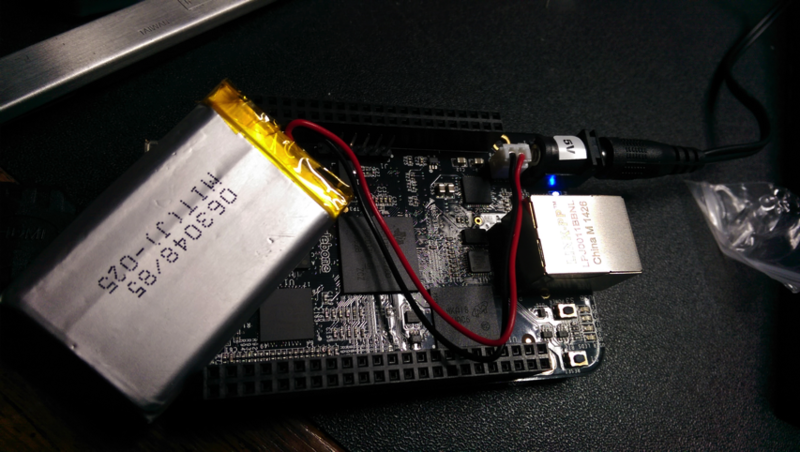 Having a battery connected to your board gives you the ability to do things like making a UPS for you beaglebone so in the case of a power loss, it can politely shut-down, run a custom command, or just continue running for as long as the battery can charge it.